If a hockey tournament at a Winter Olympics fails to feature a Canadian team is it, in fact, really a hockey tournament at all? Yes, in fact, it is. 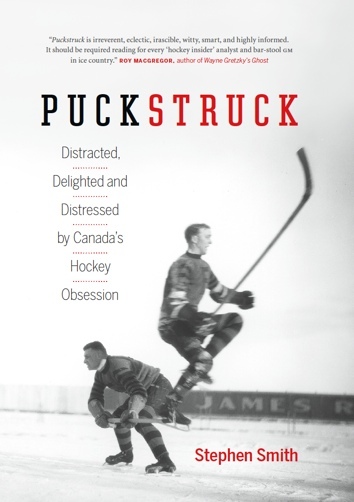 Having looked it up, I’m able to confirm that Olympic hockey does go on, even in years that Canadians choose to stay at home, as happened in 1972 and again 1976, during a dispute with the IIHF over the use of professionals in international hockey. 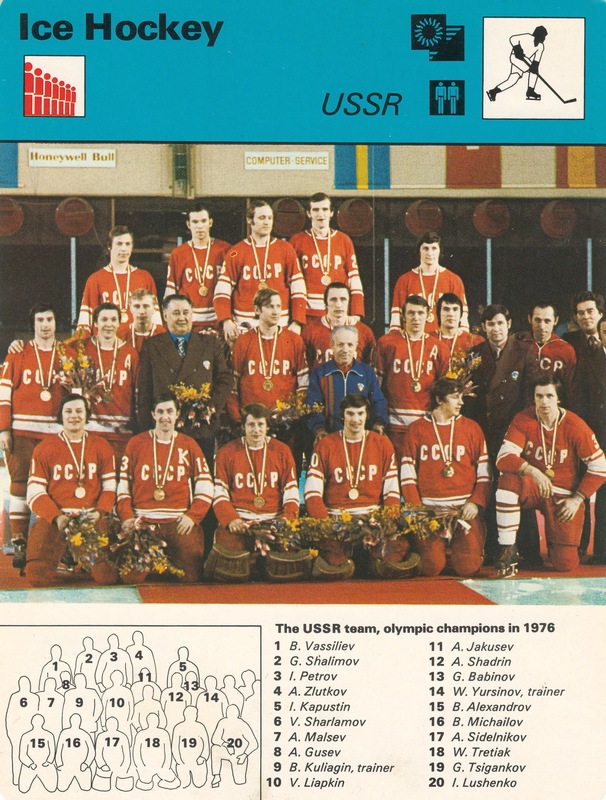 In ’72, in Sapporo, Japan, Anatoli Tarasov’s team from the Soviet Union was only too happy to continue the golden streak that had begun two Olympics before, edging out the United States (silver) and Czechoslovakia (bronze). The story ended the same way in 1976, in Innsbruck, in Austria, though the plot was a little different. Boris Kulagin was the Soviet coach this time, and Czechoslovakia looked like they possibly might — just maybe? — overthrow the champions. They were up 3-2, at least, with five minutes left to go in the February 14 final, looking good until … well, Aleksandr Yakushev scored to tie the game and then, 24 seconds later, Valeri Kharlamov netted the winner. West Germany took the bronze that year, surprising everybody, including themselves. Led by Erich Kühnhackl (father of the Pittsburgh Penguins’ Tom), the Germans lost comprehensively in medal-round games against the Soviets (7-3) and the Czechs (7-4), but beat Bob Johnson’s United States (4-1) to finish in third. They hadn’t done that since 1932, in Lake Placid, which made it modern-day German hockey’s finest hour right up until last night, when this year’s team won silver after looking like they possibly might — just maybe? — beat the Olympic Athletes from Russia for a miraculous gold.